Want to be notified of new releases in chrisdiana/simplestore? 3/15/19 - UPDATES COMING SOON! 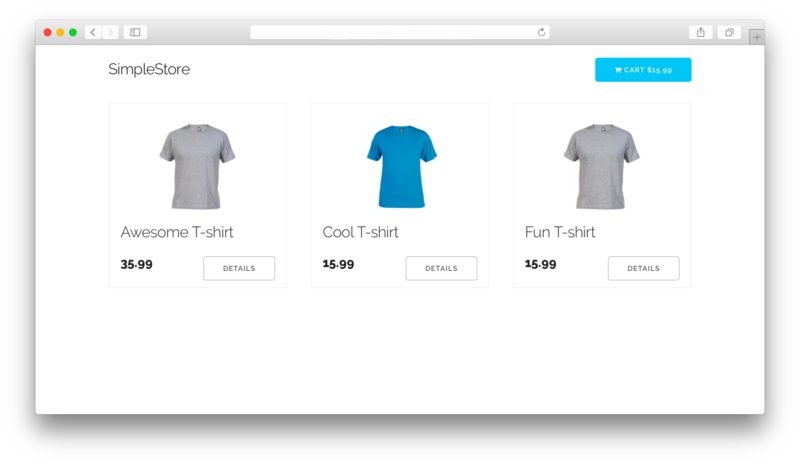 simpleStore is a clean, responsive storefront boilerplate with no database you can setup in minutes. 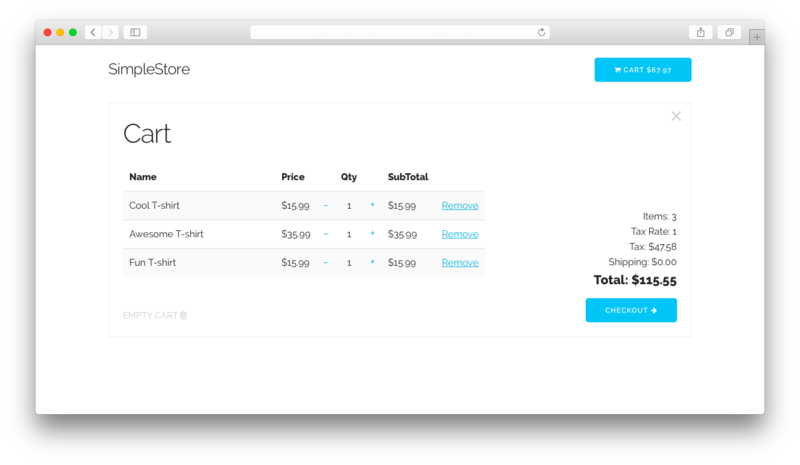 simpleStore is built on simpleCart.js and Skeleton CSS Framework for a lightweight, fast, simple to use, and completely customizable experience. 1.Make sure simpleStore is on a web server (any type will do as long as it can serve static web pages). 2.Configure your payment options in js/config.js. 3.Edit the js/config.js to your liking. 4.Add additional products in the products.json file. If you are looking for something more basic, check out the HTML version on this branch. 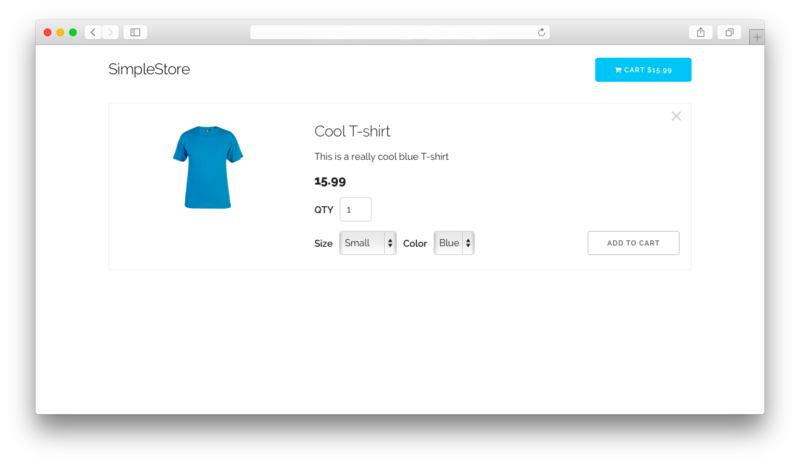 The HTML version uses plain HTML to build the store instead of a JSON file. Add additional products using the <div class="simpleCart_shelfItem"></div> tags. For further documentation on expanding/tweaking simpleStore, check out the framework/plugin pages. You can find the list of contributors here.